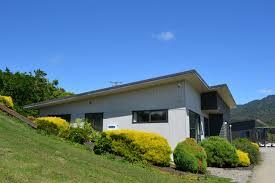 You’ll love our place because of the semi rural setting with elevated views of Mt Pirongia and the Waikato basin. Our place is close to Pirongia village (5 mins), Te Awamutu (20 mins), Hamilton (30 mins) and central for Waikato tourist attractions including Waitomo Caves and Hobbiton. Waipa Mountain Bike Club track starts at the bottom of the driveway. Our place is good for couples, solo adventurers, business travelers, and families (with kids). )Highgate bed and breakfas​t is situated at 167 Bird Road, Pirongia and is an easy trip from Hamilton, Cambridge and Te Awamutu. It is approximately 1.7 km up Bird Road on the left hand side. When you pull into the drive to the electronic security gates you will be greeted by either Dianne or Bob on the intercom who will open the gates for you to their wonderful world of 2 acres of magnificent gardens and beautiful home. You can wander the gardens and discover many exotic plants that you may not see anywhere else in New Zealand. 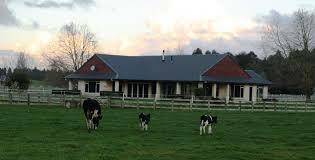 Enjoy the tranquillity, privacy, stars in the night sky and the gentle lowing of the neighbour’s cows. Wake up to the chorus of the abundance of natural bird life which surrounds the house. Clean large bedrooms offer a sanctuary to rest in or if you wish to contact the outside world there is free Wi-Fi available. Enjoy the purity of nature’s water which is from either rain from the sky or from our deep well and is filtered and ultra violet treated. A home for all seasons - Enjoy a roaring fire and underfloor heating in the winter and magnificent vistas of Mount Pirongia and the surrounding farmland until the sun sets in the summer time. Dianne and Bobs eco house offers consistent temperature throughout the year of 20 degrees. With two lounges you can join Dianne and Bob with a glass of wine in the main lounge or retreat to the second lounge for peace and quiet time. The walk in shower facility is suitable for all ages and capabilities and there is also a bath and separate toilet. for your exclusive use. Sheridan sheets, comfortable beds and Bathrobes available. It is a quiet environment for sleeping and your breakfast is provided and can include freshly laid eggs by our free range chickens or homemade sugar free muesli and fruit. Your vehicle will be safe behind our gates. There is ample parking. We invite you to take a tour of the gardens...Sit in the sun on the outdoor furniture. 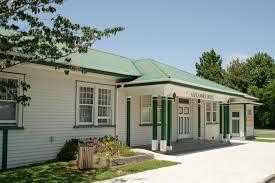 We are situated close to Pirongia village and the Pirongia Golf Course. Pirongia Forest Park is 10 minute drive from our home. Just explore their delightful and highly informative web site and you will find everything you need to know about this charming location and its surroundings which are just 10 mins from Te Awamutu and can sleep up to 10. Available also for garden wedding ceremonies, wedding photographs, garden visits and garden parties. 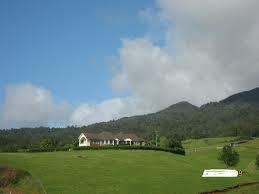 2 kms from the Village we offer a deluxe Farm Stay experience in a beautiful spacious and modern home. Two luxurious suites plus a third single for parties of three. Complimentary gourmet breakfast is served daily using organic produce when available. We also provide longer stays for those seeking respite and well-being (see our Packages Page). ​Amberfields welcomes self contained certified motorhomes subject to guest bookings and strictly by prior arrangement. 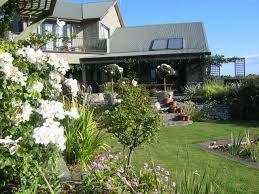 Greenfields Self-Contained Bed and Breakfast. 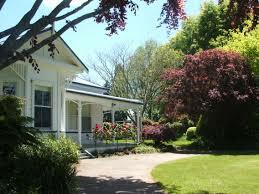 Greenfields homestead dates to the early 1900's and is built from native 'rimu' timber. The 68 hectare dairy farm is nestled at the foothills of beautiful Mount Pirongia, five minutes from the village of Pirongia and 20 minutes from Te Awamutu or Hamilton. Yours hosts offer exceptional accommodation coupled with the opportunity to experience what it takes to run a small dairy farm. Our spacious self-contained accommodation is in a quiet, peaceful setting amidst well established gardens and sleeps up to six people. For more information or to make a reservation see our website or contact Christine or Andy (ph) 07 8719955 (mob) 021 0401578. Farmstay and B&B featuring purpose built house, queen size room with ensuite, twin share room, cooked or continental breakfast, dinners by arrangement. Central to Te Awamutu, Hamilton, Otorohanga. Also offers horse drawn picnic trips, stable visits, weddings, venue hire, functions and carriage driving lessons. 297 Grey Road, Te Pahu, RD5, Hamilton. Bookings/Enquiries: Phone (07) 871-9570, Website here. Email here. Two Units – each sleep three (One double/one single bunk), self contained kitchen with bathroom/shower (Units share) Small private garden, picnic tables, use of BBQ and Lodge grounds. Outstanding views and tranquil environment. Wonderful accommodation for small groups or families – instant and private access to the Forest Park and its amazing walks and trails. Open all year round. Contact warden for further details and bookings. 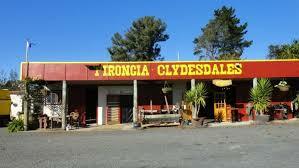 Address: 297 Grey Road, RD5, Hamilton. Website here. Thinking about coming to join us? Check out our facilities and some read interesting facts.